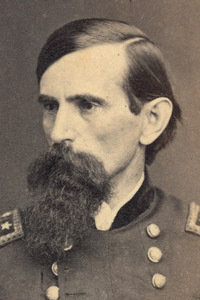 Lawyer, governor, Union general in the American Civil War, American statesman, and author, best remembered for his historical novel Ben-Hur: A Tale of the Christ, the best-selling American novel of the 19th century. He served as governor of New Mexico Territory from 1878 to 1881, and as U.S. Minister to the Ottoman Empire from 1881 to 1885. Source: William R. Denslow, 10,000 Famous Freemasons, 1961.